Ty'n Rhos Caravan Park in North Wales has excellent views towards the mountains of Snowdonia. This caravan park is conveniently located between Betws-y-Coed, Bala and Llangollen. At Tyn Rhos Caravan Park we welcome walkers, cyclists & pets. We have a network of quiet lanes and tracks suitable for walking and cycling. We are also very close to the trails of Llyn Alwen and Llyn Brenig. This area is very well equipped for walkers and cyclists with a visitors centre cafe! Ty'n Rhos Caravan Park is an ideal location for enjoying the peace of the countryside, and you can enjoy magnificent views towards the mountains of Snowdonia from your caravan. There are local castles to explore including Conwy, Dolwyddelan and Caernarfon Castles, and the steam railways of the Ffestiniog Railway, Snowdon Mountain Railway, and the Welsh Highland Railway. The caravan park is perfectly placed for the Snowdonia National Park, the coastline of North Wales including the famous Victorian resort of Llandudno, the Isle of Anglesey, and the North Wales Borderlands including Llangollen, all of which are within a 1 hour drive. The caravan park takes caravans and motorhomes and is a a 4 Star grading and olso a Caravan Club Certified Site. There is a section of the site reserved for Caravan Club members. Electric hookups are available on all pitches, and chemical toilet disposal facilities are provided. There is also a new toilet and shower block which includes facilities for disabled guests. The park is located in a peaceful location on a working farm about 7 miles from the popular village of Betws-y-Coed in Snowdonia. 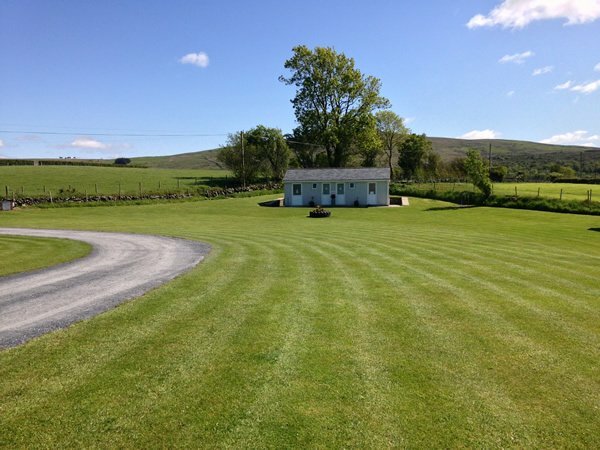 Ty'n Rhos is a dairy and sheep farm, and you can view activities on the farm such as milking by arrangement. Free range eggs are available. There are many shops in Betws-y-Coed, and there is a general store about 1 mile away in Pentrefoelas. The caravan park is situated on a working farm between Betws-y-Coed, Bala and Llangollen at the edge of the Snowdonia National Park.